In August 2017, the County Commission of Monongalia, WV announced a contest in designing a new county flag to be flown at the courthouse square after its renovation this fall. 4. No Lettering or Seals; never use writing of any kind or an organization’s seal. Thus, my design did not follow all the rules demanded by the Commission. My conscience did not allow me to plonk down the county seal on my design 😉 . Below is my entry to the contest, submitted on August 30, 2017. Read underneath it for the meaning and symbolism of each item on the flag, as well as the final results! Monongalia County Courthouse is the most distinctive and recognizable symbol of the county. Incorporated on the county seal, the courthouse is one that is loved by [county] residents and enjoyed by visitors. The year 1776 was included to signify the county creation by an act of the Virginia General Assembly on that year. The golden rope encircling the courthouse is also derived from the county seal representing unity, continuity and connectivity of the “mother county” and its surrounding areas; including the northern West Virginia and several Pennsylvania counties. The blue background represents patriotism and harmony. Blue is the color of water and the sky which is harmonious in the county landscape. It represents Monongahela River where the county takes its name. It also represents the first native settlers of the area, the Mound Builders (or the Adena people). Alas! My entry did not take the price. A local Morgantown HS student won among 85 applicants of the design competition for the Monongalia County Flag. You can view the winning entry on one of my tweets. Nonetheless, I actually received an award for an honorable mention with a certificate and a small prize, so thank you Monongalia County Commission. The centrally dominant globe represents the earth as viewed from space, the earth being both the origin and control point for all satellites. The emblem is provided its distinctive appearance by two symmetric ellipses representing the orbital paths traced by satellites in earth orbit, the satellites themselves being symbolically depicted as four-point stars. 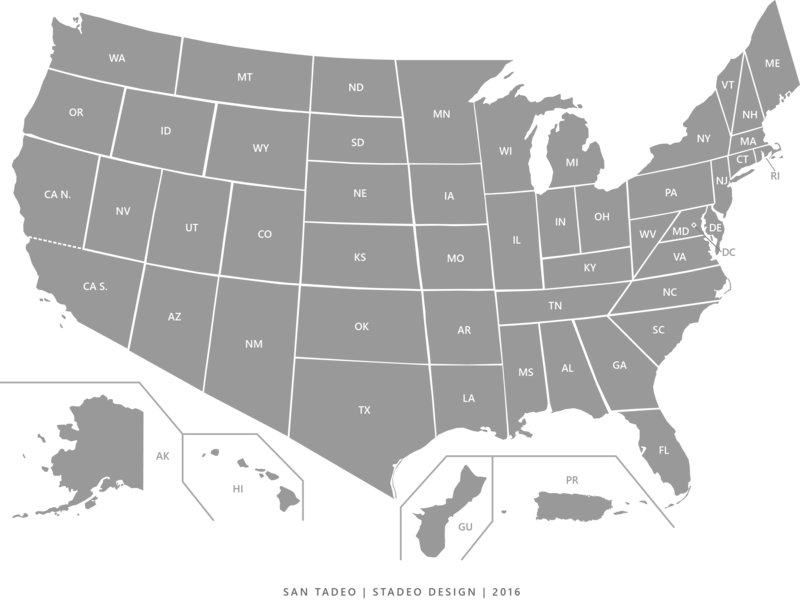 The 30-degree orbital inclination and symmetrically opposed placement of the satellites signify the worldwide coverage provided by Air Force satellites in accomplishing space-based surveillance, navigation, weather, missile warning and communications missions. The slight tapering of the orbital ellipses represents the characteristic eastward motion. The centrally superimposed deltoid symbolizes both the Space Force upward thrust into space and the launch vehicles needed to place all satellites in orbit. The distinctive dark blue background shading and small globe and stars symbolize the space environment. 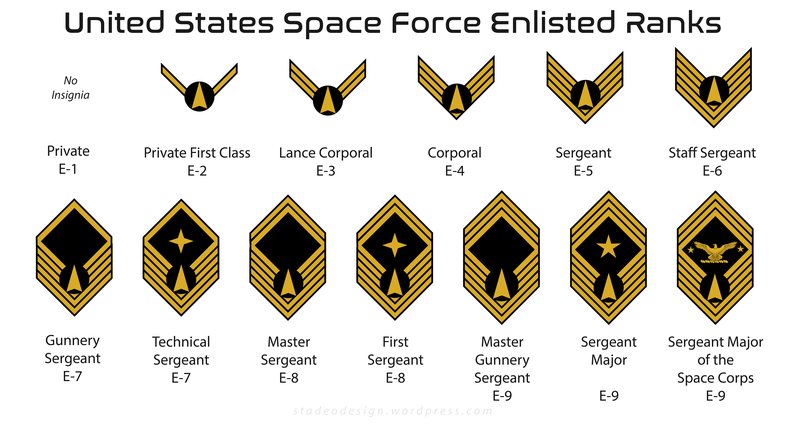 The enlisted rank designs below were entirely of my own conceptualization and did not mean any copyright infringement from other designs. Basis and reference of designs are indicated on links below. When using images, use “Copyright: stadeodesign.com” and to include the link to this blog. Thank you for viewing! These two sets of insignia are similar except for the color schemes: gold/black and blue/white. 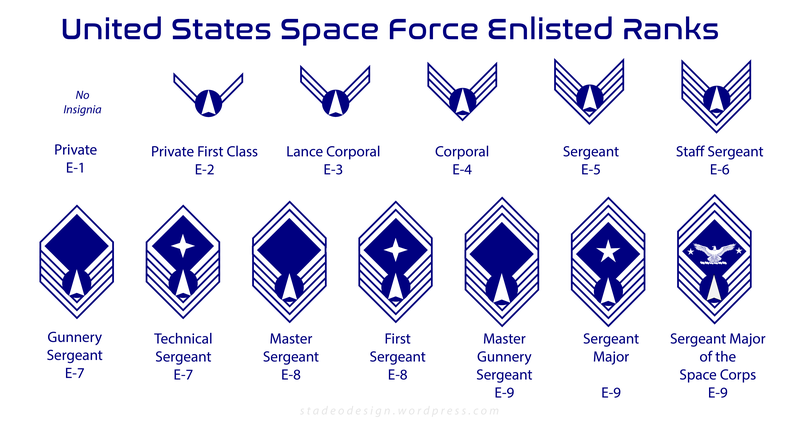 The design of the enlisted ranks are based on the U.S. Air Force enlisted rank insignia. United States Marine Corps rank insignia and the United States Air Force officer rank insignia. (As of June 2018) The U.S. Space Force (USSF) (if approved by Congress) is a proposed sixth branch of the United States Armed Forces intended to have control over military operations in outer space. It would absorb the operations and duties of the Air Force Space Command, a major command of the United States Air Force that currently handles and supports most of the country’s military operations in space. Reference and latest developments can be found on Wikipedia: United States Space Force. I redesigned the flag of Howard County, Maryland to depict a cleaner and more modern design. No copyright infringement is intended. It is described as “a red and white design which incorporates part of the Maryland flag.” The colors also reflect the exact colors of the flag of Maryland, including the red and gold. 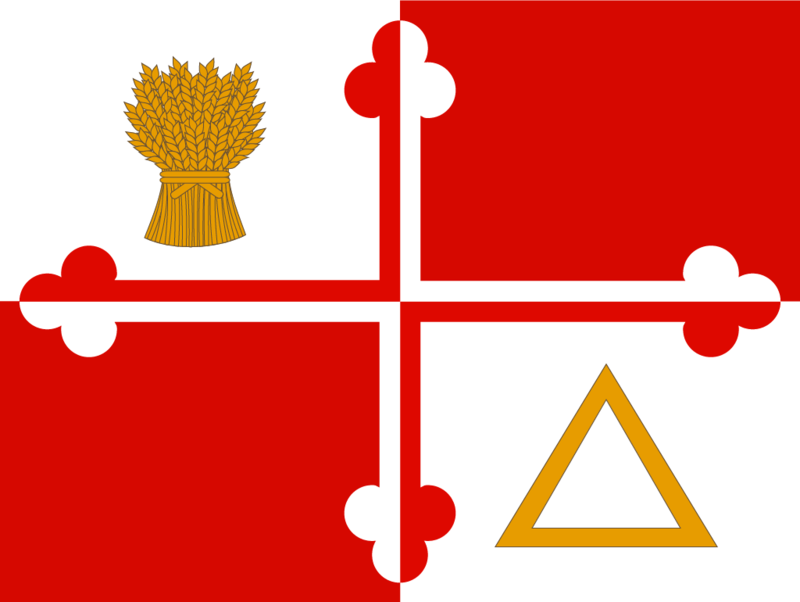 The flag of Howard County, Maryland was established in 1968 through a contest and was designed by Jean O. Hannon.